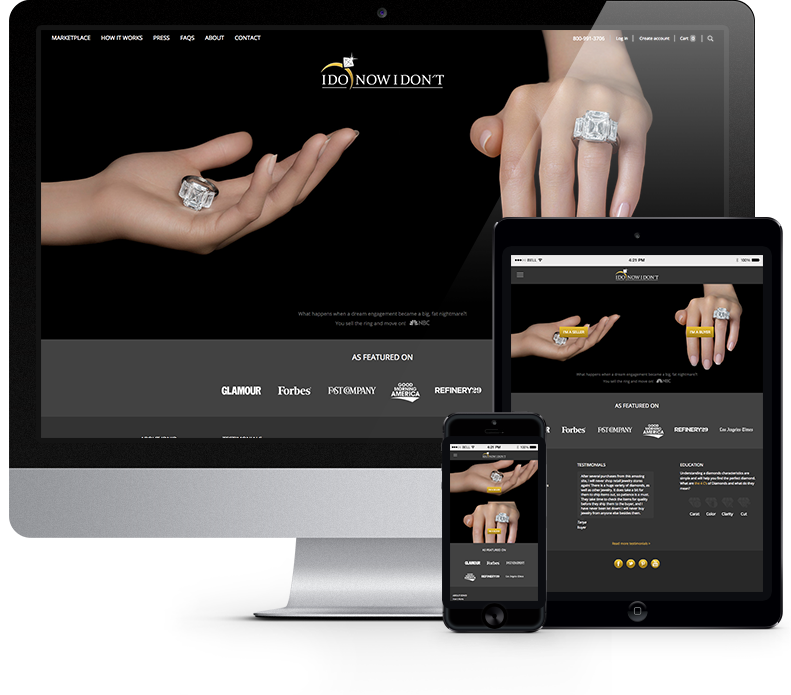 I Do Now I Don't is a premium, online marketplace for selling and buying second-hand jewelry. Drupal Connect has provided Drupal support for I Do Now I Don't since March 2012, and in late 2014 we launched a redesign, responsive site. Our redesign included a full Information Architecture and UX overhaul, a new responsive design and custom theme, a new Drupal Commerce marketplace, and content migration from Drupal 6 to Drupal 7.